FATAL ERROR: Unhandled Access Violation Reading 0x0000 Exception at 4048b9h!! When you tried to launch AutoCAD, the following error message was displayed and the product would not run. On the Windows Start menu, enter acsignopt in the Search programs and files field and press Enter. Clear the Validate Digital Signatures and Display Special Icons option. 2: Completely remove Autodesk software and reinstall. Auto Desk Desktop Subscription Licensing Error: “Establish an Internet connection to continue!! The Auto desk license server is temporarily unavailable. hotfix. If applying the hotfix does not resolve the issue, try these troubleshooting steps. Q. What is desktop Subscription ? Ans. Desktop Subscription is a purchasing option that allows you to license Autodesk desktop software on a term basis to meet a variety of business needs and budget considerations, such as project-based work, or hiring temporary staff. Customers who purchase Desktop Subscription receive benefits such as access to the latest software and product enhancements, Basic Support, and in some cases, access to select cloud services. Q. What Desktop subscription plans are available for purchase ? Q. What are the key features/benefits of Desktop Subscription Licenses ? Desktop Subscription grants license holders the right to use desktop software for a specified period of time with the option to renew their contract for additional payments. Customers who purchase a Desktop Subscription receive benefits such as access to the latest software and product enhancements, Basic Support, licensing rights such as Previous Version, Global Use, and Home Use Rights, and depending on the suite or product, access to select cloud services. The following table provides a summary of the key features and benefits. Named User term-based licenses, where a named user is an individual and may not be shared with any other individual. Global Use Rights Use outside of the country of purchase when purchased in home country. If purchased outside home country, can only be used in the country of purchase. Storage is reduced to 5GB upon expiration. You have 30 days after contract expiration to download data. Q. What are the benefits of Autodesk Desktop Subcription ? Pay-as-you-go access to desktop software: This gives you the flexibility to control costs without a large up-front investment. In some cases, you may be able to bill the cost of Desktop Subscription back to your clients, making it easier to treat software costs as an operating expense rather than a capital expense. Stay up to date: With an active Desktop Subscription, you always have access to the latest software releases and product enhancements. Licensing Rights: Desktop Subscription includes Previous Version Rights which allow you to use previous versions of your software (be sure to check the Previous Version Eligible Product List for available products and versions). Desktop Subscription also includes Home Use and Global Use Rights; install and use your software on alternate machines and/or use your software outside of your home country. 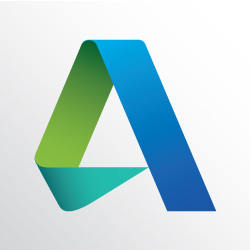 See Autodesk Subscription Terms and Conditions for details. Flexible licensing: Desktop Subscription enables you to easily scale up the number of licenses to manage temporary increases in workload or staffing, and scale back when you no longer need them. Support: Never go at a problem alone, Basic and Advanced Support (for select products) are available to help you troubleshoot common issues. You will also receive exclusive subscriber-only newsletters and communications as well as access to webinars and other e-learning tools. Q. What is the difference between monthly,quartely, annual, and multi-year Desktop Subcription Licenses ? Q. What are the support benefits of Desktop Subscription ? Ans. Desktop Subscription includes access to Basic Support, or Advanced Support depending on the product or suite edition. Autodesk technical support ensures you have a quick and effective way to troubleshoot problems as they occur. Desktop Subscription customers also have access to exclusive newsletters and communications and e-learning to help you take full advantage of your Desktop Subscription benefits.